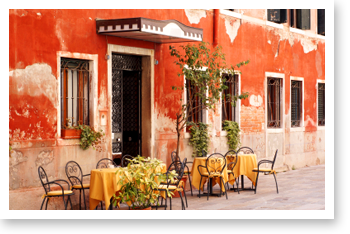 This escorted tour of Italy and France can also be privatized for your own group for travel any time you wish. 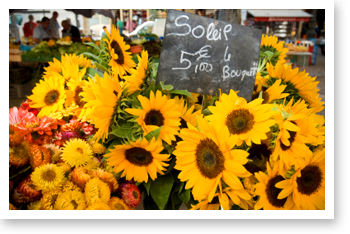 This escorted group tour weds the best of Italy and France in one tour. We will refine our palates sampling the fine wine and cuisine of both countries, and gain a deeper understanding of European art, history and architecture with the spectacular museums and ancient sites we will explore along our route. The breathtaking countryside and seaside landscapes will leave you feeling relaxed and peaceful, while the cosmopolitan city scenes will energize and inspire you. This France & Italy group tour starts in beautiful Paris then onto the French Riviera before crossing over the border of Italy where our group tour ends in Milan and beautiful Lake Como, visiting Bellagio, one of the most beautiful town in all of Italy. A perfect ending to a truly memorable tour of both Italy and France. Arrival Airport: Paris. Book your flight early to secure a flight that arrives Paris early in the morning. Note: You may arrive early in Paris or stay longer in Milan or elsewhere in Italy. Inquire about making arrangements for your extended stay. Airport Transfers. We will coordinate transfers so you can share with other travelers, if interested. Please contact our office if you have questions regarding our France & Italy tour package. 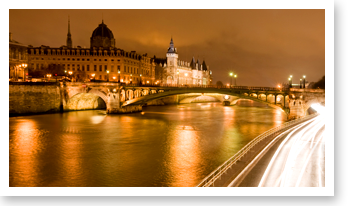 Morning panoramic tour Paris to see city’s famed sites to include the Champs Elysées, Arch de Triomphe, Place Vendome, Séverin Church, the Sorbonne, the Panthéon, the St. Germain District, Orsay Museum, Napoleon’s Tomb, the Eiffel Tower, and more. You will also have a guided tour of the Louvre, the world’s largest palace and museum, home to the Mona Lisa, Venus de Milo, and other artistic treasures. We will also have a group lunch and a guided visit of the Notre Dame cathedral in Ile de la Cité. 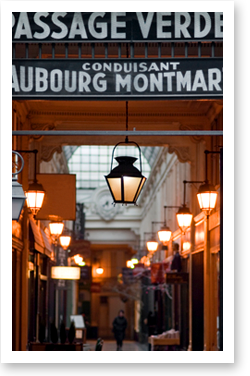 We’ll start the day with a walking tour, a gourmet tour, in one of Paris lively neighborhood visiting artisan cheese shops, delis, produce stores and more. Our expert guide will lead the tour, sharing Paris’ or the French culture on food while we sample some tasty treats like cheese, chocolate, wine, cured meats. This tour includes a lunch. NOTE: Let us know if you are interested in a private tour of Versailles, which we can arranged for you. Today we’ll explore Nice. We’ll visit its open markets, elegant shops and outdoor restaurants; stroll the Promenade des Anglais, a beautiful boulevard running along the Mediterranean Sea or tour the Matisse and Chagall museums. We will explore Monaco after lunch, which is about 30-minutes away, a perfect quick day trip from Nice. You will have some free time at the elegant old town with its narrow streets and shops including the Cathedral that hourses the tombs of former princes as well as the tomb of Pricess Grace. Later, you will head down to the Casino Square, where you can enjoy some luxurious shopping, and stroll amongst the stunning gardens, see a chic casino, or simply watch the “rich and beautiful” enjoying the good life at their favourite haunts. Today, we will take a train bound for Milan. We should arrive around lunch time. We will have a tour of this fashionable city starting with the Duomo, Milan’s magnificent late Gothic cathedral. We’ll continue our walking tour of Milan through the Gallery Vittorio Emanuele II to the square of La Scala, one of the world’s most famous opera houses. We will drive the rest of the way to our final destination, the city of Como on Lake Como. Today, our local tour guide will lead us on a guided tour of beautiful, lively Como, hearing about its interesting sites, historical monuments and the city’s history; the city also has an important history in textile, silk, manufacturing and trading. You will also tour the historic center located within an ancient city wall. Today, we’ll spend the whole day in the beautiful Lake Como. We’ll take a ferry to charming Bellagio, which many regard as the most beautiful town in Italy. Free time to enjoy Bellagio on your own to visit Villa Melzi, have a leisurely lunch and indulge in great shopping after. You may continue your exploration in other towns that dots Lake Como.